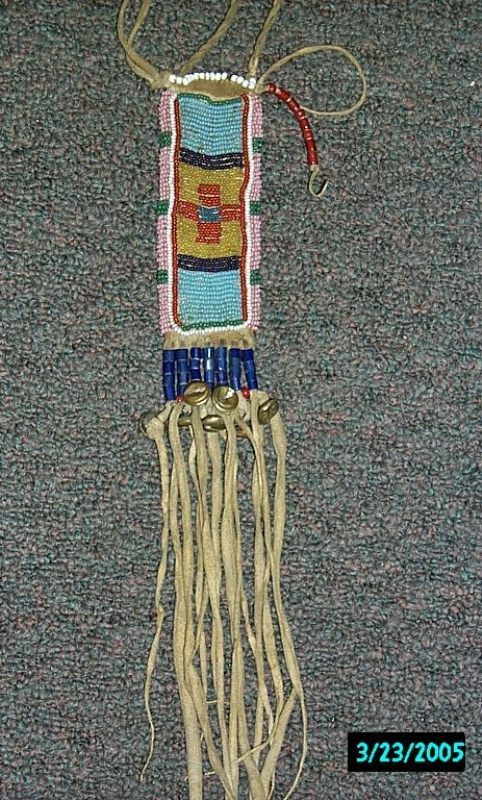 Crow woman’s belt pouch. Sinew sewn circa 1890. Feather-form designs on reverse. 13″tall.